People who cannot work because they are obese or have alcohol or drug problems could have their sickness benefits cut if they refuse treatment, the PM says. David Cameron has launched a review of the current system, which he says fails to encourage people with long-term, treatable issues to get medical help. Some 100,000 people with such conditions claim Employment and Support Allowance (ESA), the government says. Labour said the policy would do nothing to help people to get off benefits. 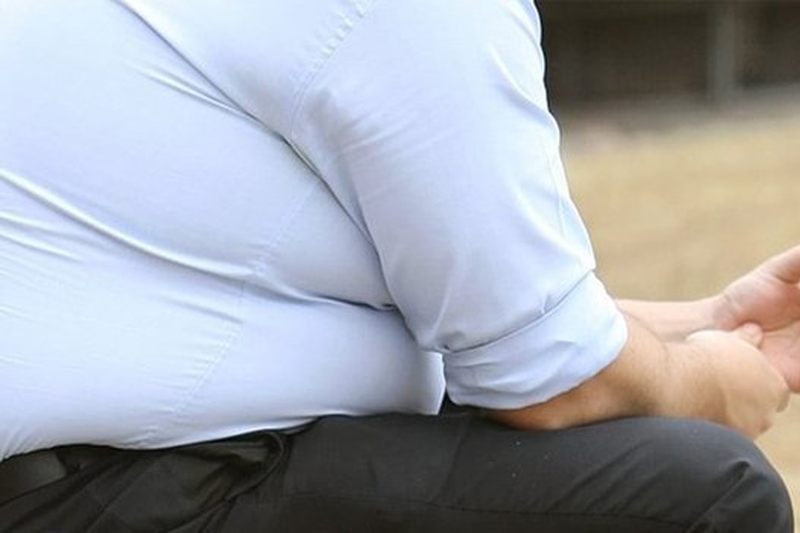 Campaigners said it was "naive" to think overweight people did not want to change their lives. There is currently no requirement for people with such health problems to undertake treatment. Mr Cameron has asked Prof Dame Carol Black, an adviser to the Department of Health, to look at whether it would be appropriate to withhold benefits from those who are unwilling to accept help. Announcing the proposal, he said: "Some [people] have drug or alcohol problems, but refuse treatment. "In other cases people have problems with their weight that could be addressed - but instead a life on benefits rather than work becomes the choice. David Cameron sees the wide-ranging welfare reforms introduced in this Parliament as part of a "moral mission". He has said they give new hope to people who have been written off by helping them back to work. So despite criticism of what some see as an increasingly punitive benefits regime, the Conservatives are floating a new suggestion - possible sanctions for those claimants who refuse help to overcome treatable conditions. On the same day, during a speech in Wales, Labour's leader will pledge to continue his attack on tax avoidance. So David Cameron runs the risk of being seen as someone wanting to crack down on some of society's most vulnerable, while Ed Miliband targets the wealthiest. The truth is both party leaders are trying to persuade "hard-working families" that they're on their side. Similar proposals have been considered by the government before. In 2010 and 2012 the Conservatives considered plans to remove or cut benefits for drug and alcohol addicts who refused treatment. At the time the plans were met with concern by charities, who said there was no evidence benefit sanctions would help addicts engage with treatment. Dame Carol welcomed Saturday's announcement, saying: "These people, in addition to their long-term conditions and lifestyle issues, suffer the great disadvantage of not being engaged in the world of work, such an important feature of society." And Minister for Disabled People Mark Harper told the BBC the right interventions could be "very successful". Susannah Gilbert, co-founder of online obesity support group Big Matters, said the policy "wouldn't be feasible". She said: "I think it's naive to think that people don't want to change their life. Many of them have tried every diet under the sun and they still have a weight problem, so to think they don't want to have help isn't true." Labour's shadow minister for disabled people, Kate Green MP, also questioned the proposal, saying: "David Cameron's government has stripped back funding for drug support programmes and their Work Programme has helped just 7% of people back to work, so it is clear the Tory plan isn't working. "Today's announcement does nothing to help people off benefits and into work while the government continues to fail to clamp down on tax avoiders and offshore tax havens." ESA was introduced in 2008 to replace incapacity benefit and income support, paid because of an illness or disability. It requires claimants to undertake a work capability assessment to see how much their illness or disability affects their ability to work. Those who receive ESA get up to £72.40 a week if they are over 25 and up to £57.35 if they are under 25 before their claim is assessed. Once a claim is accepted, those receiving ESA get up to £108.15 a week. Some 60% of the 2.5 million people claiming ESA have been doing so for more than five years, government figures show.